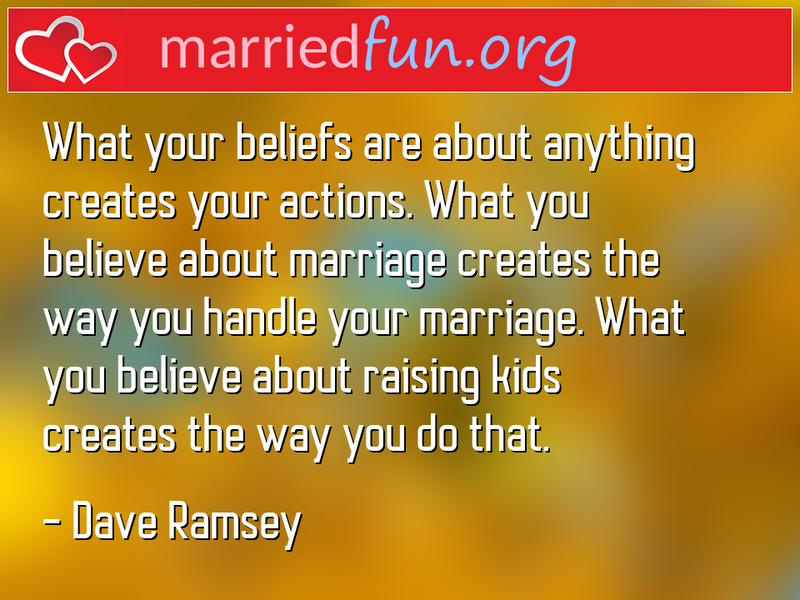 Marriage Quote - What your beliefs are about anything creates your actions. ... - Married Fun! What your beliefs are about anything creates your actions. What you believe about marriage creates the way you handle your marriage. What you believe about raising kids creates the way you do that.